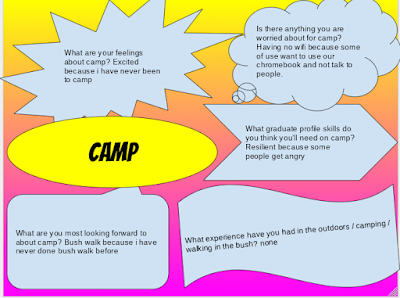 hi bloggers so today my class and Room 4 came to talk about camp and we did some poster so that our teachers can know if we are worried about anything when we go to camp. Thanks for sharing Sofaia. 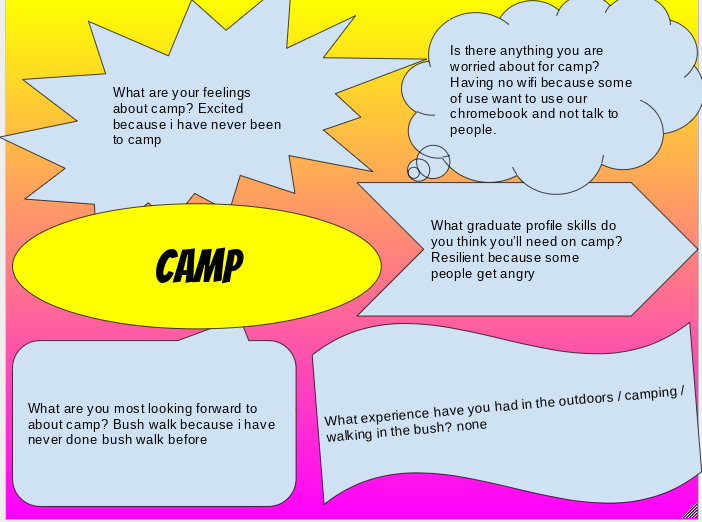 I can't wait for the bush walk either! What could you do instead of needing wifi?